Top 10 Nexus One Hacks! 1) How to Unlock your Nexus One! – You will need to unlock your Nexus One before you do anything so start here. It’s pretty simple actually, just installing the USB driver is hard. 2) How to Install Cyanogen Mod on your Nexus One! – Cyanogen Mod is one of the best mods that’s built on top of the stock Nexus One OS. I highly recommend installing this mod although now I am using HTC Desire ROM. 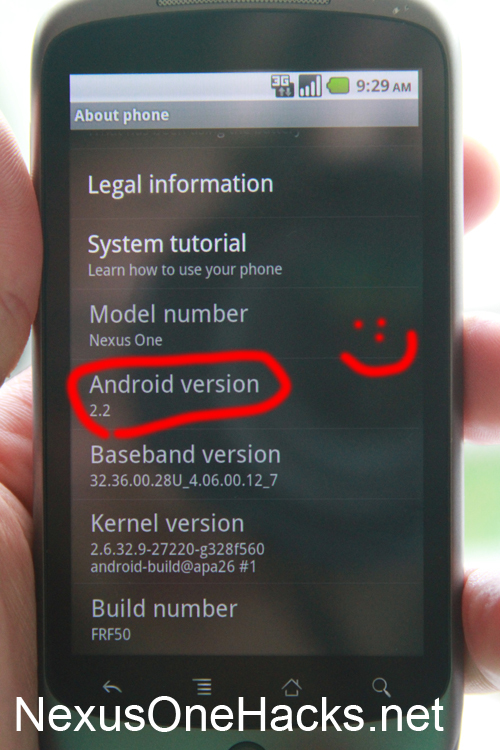 4) How to Backup/Restore your Nexus One using Nandroid! – The beauty of a Nexus One isn’t that you can install just one ROM, you can install practically an “infinite” amount of ROMs. To do that, you will have to learn how to backup/restore your ROMs using Nandroid. Once you master it, it takes only 2 minutes between switching from Cyanogen to HTC Desire or any other ROM. 5) How to Install HTC Desire ROM on your Nexus One! – I really like the HTC Desire ROM as it comes with neat things like the ability to view Flash stuff on your web browser via its Flash Player 10.1 plus the user interface is awesome. 6) How to Install a non-supported Language on the Nexus One! – This guide I actually made for my friend’s Droid but the actual steps to install a non-supported Language (Such as Thai) is the same. 7) How to Install After-market keyboard on your Nexus One! – Another beauty of Nexus One is that you can install a ton of free aftermarket keyboards including this one. 8) How to Install Paid Apps for FREE! – Yup, for most Android phones, you can install paid apps for FREE. It’s not going to work 100% of the time nor is it legal but FYI. 9) How to Overclock your Nexus One! – This is my favorite. When you overclock your Nexus One, it becomes “the” fastest phone in the world (today) since 1Ghz is the limit on mobile CPUs right now. You can check out my Nexus One Hacks blog here. Should you get a Nexus One? Hell yes, Nexus One is the best smartphone I’ve used. It’s faster than an iPhone, a ton of apps, and best of all, you can hack it with many hacks being openly shared by developers like Cyanogen, Modaco, and a ton of other open source developers. The best part I like about the Nexus One is that it runs Google’s Android mobile operating system. A lot of good stuff can be expected in the long run for Android because it’s basically a linux computer. Well, I won’t go into that today, just try some of the Nexus One hacks I mentioned, your wallet will thank you for taking it all the way. Check out more interesting categories: DIY, Featured, Featured DIYs, Featured Gadgets, Featured Hacks, Gadgets, Google Android, Hack, HOWTO, Nexus One, Projects, Smartphones. Nexus One Hack – How to Install Cyanogen Mod on your Nexus One! Nexus One Hack – How to Install HTC Desire ROM on your Nexus One! Nexus One Hack – How to Install Android 2.2 Froyo on Your Nexus One! How to Hack(Tether) Your Nexus One into a USB/WiFi 3G Modem! 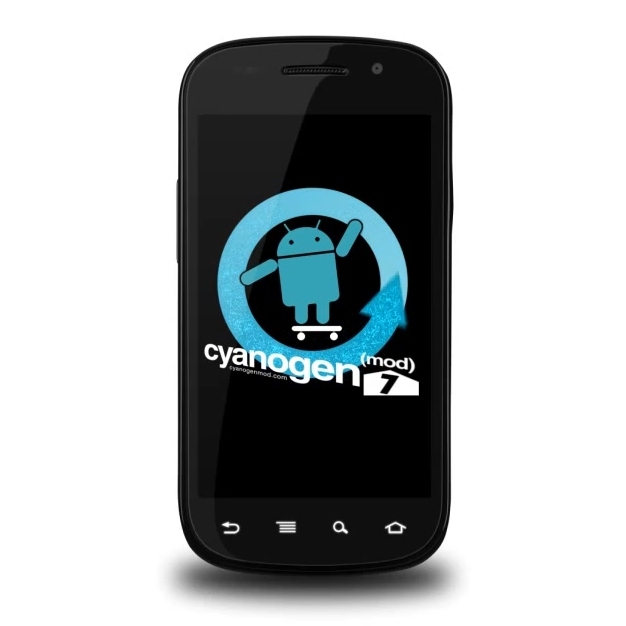 CyanogenMod 7 ROM Downloaded over 215,000 Times! Nexus One Hack – How to Fix 3G Issues! G1 Hacks – How to Install Cyanogen Android 2.2 Froyo on your G1! Nexus One Hack – How to Hack(Tether) Your Nexus One into a WiFi Router!